Our friends at Hubron Speciality are walking the extra mile for Forever Manchester without even leaving Greater Manchester! 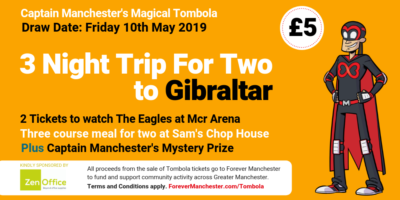 They will be taking on pedometer challenge, with the goal of walking a distance equal to that of the Land’s End to John O’Groats event over 2 weeks. 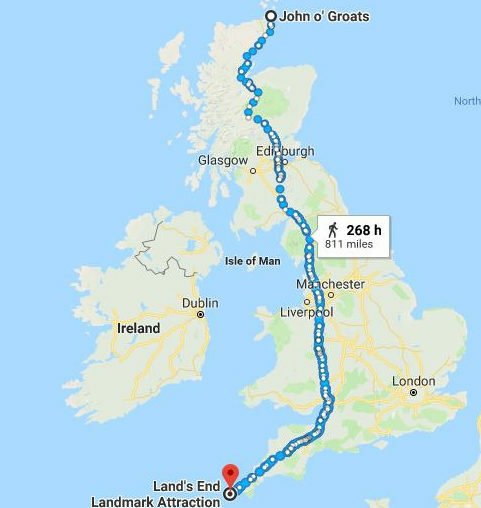 Land’s End to John o’ Groats covers the whole length of the island of Great Britain. The traditional distance by road is 874 miles (1,407 km) and takes most cyclists 10 to 14 days; the record for running the route is nine days. You can show your support for this interesting challenge, donate now via their JustGiving page. If this has given you some inspiration, download our fundraising guide and get involved.